You are here: Home » Business & Career » Want to Make it in Racing? Treat It Like a High-Risk Startup! Want to Make it in Racing? Treat It Like a High-Risk Startup! Auto racing, be it NASCAR, Indy, Formula 1, etc. is a high risk business. I’m guessing that many of you pictured flying race car carnage upon reading the title to this post, and yes, it’s true that when men and women race cars, sometimes they get hurt, and sometimes it’s fatal. However, the purpose of this post is not to discuss that angle of the story, but to instead discuss the business model of racing as a whole and to show you how I believe it’s possible to find some success there. 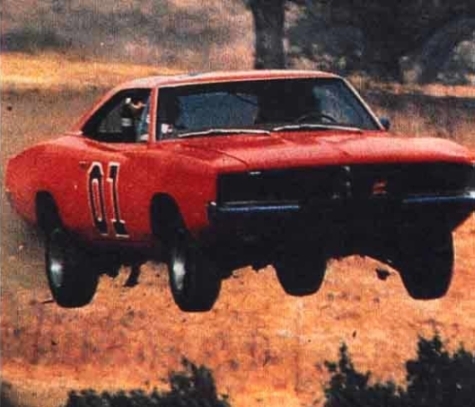 I’ve finally realized that the business model one needs to follow when getting into racing is the exact same as as that of a high-risk startup company, and I now think I understand how to turn that little secret into the secret sauce that will allow me – and you – to make a living behind the wheel someday. My pal Tom Farrington racing his ’66 Chevelle. My goal is to enter the ranks of professional racing by starting at the “amateur” level with my ’64 Chevelle and compete against Tom and several other top drivers in the country in Pro Touring events nationwide. Aside from owning The MuscleCar Place, hosting shows on The MuscleCar Place network, and everything else I’m a part of I also spent quite a bit of time as the Business Development lead for a high-tech startup company. (It’s automotive related, but if I give any more details I’d have to kill you.) In that role I spend a lot of time gaining relationships with potential technology partners and customers as well as working to raise capital to keep the bills paid and work moving forward. This startup business is like any risky investment where dollars today are tough to acquire, simply because our future success is no guarantee and we aren’t a known name….yet. There are many factors out of our control right now that could blow the whole deal, despite the fact that the technology actually works. Seems unfair, right? It is, but life isn’t fair anyway. That being said, with each day comes new opportunities, and the business I am helping to build today is nowhere near as risky as it was even 6-months ago. That means that the capital that is raised today is just a little easier to get than it was 6-months ago, and a year from now, as long as we make tangible progress, it’ll be even easier to get. Everyone likes betting on a winner, but it’s those that bet on the unknown that can make the most. 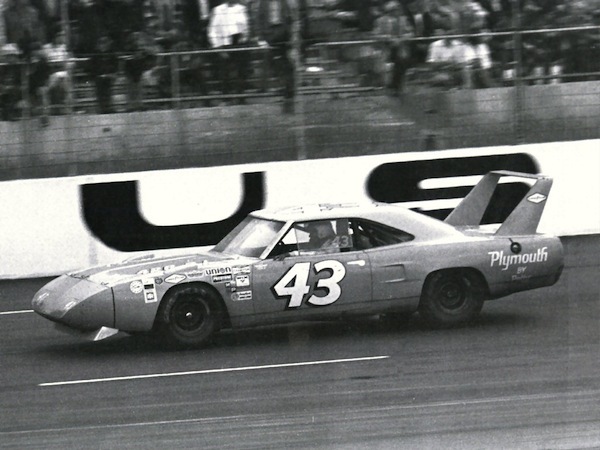 Richard Petty in a ’70 Superbird at speed. It doesn’t get much cooler than that! It’s the work that I’ve done between all of my businesses that have helped me see enough, learn enough, and talk to enough people to realize that when it comes to motorsports, be it amateur, semi-pro, or big-kahuna-pro, that the business model of a motorsports career is identical to that of the business model a high-risk startup company. Since most people that attempt a racing career have no other plan than “I wanna go fast,” my thought was to teach that a racing career is a business and should be treated as such. 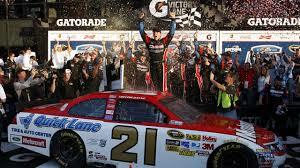 Therefore, succeeding in motorsports should follow the exact same model if one ever hopes to have success there. Just like a start-up company (or that risky gold-mine stock that your buddy talked you into), there are no guarantees and it could all go south, likely due to factors outside of your control. However, with the right plan you can actually reduce your risk, even up the odds, and give yourself a shot at success. You might even hit the top and ring the bell. So how does one go about this? Easy. This one may seem like a no-brainer, but many people enter into high-risk startups with dollar signs in their eyes only. 9 times out of 10, these are the businesses that go belly-up. Why? When the people pulling the strings only care about turning a profit, and not in whatever it is the company actually does, or who it can help, the original idea fizzles out over time. The motivation for profit simply isn’t enough to overcome the rampant ups-and-downs that every startup company will face, and those seeking money first will also be the first ones to bail out. Only the true believers ever make it here. If a “decent” startup has an IPO or major acquisition at the 5-year mark, that means that for the first 4-years it did nothing but burn money. True believers viewed that money as a future investment, not a waste of resources. In racing the parallel here is to understand that a racing career is going to take a TON of time and dedication, and that the first few years are likely going to be done out of pocket. You’re simply not going to make any cash doing this in the beginning, and whatever dollars you do bring in will likely go straight back into buying better equipment, training, or paying for race fuel. View it as an investment. Also realize that just like business, the more you play, the more experience you gain. You’ll need to race a lot in the beginning. A quick note here: I do want to point out that I am NOT in favor of taking a blank checkbook approach towards new investments, be they businesses, racing careers, etc. A good investment strategy, even if it’s in something high risk, is made in someone or something that you really genuinely believe has a shot at making it if given enough time, resources, etc. With that established it’s perfectly reasonable (and quite prudent) for any investor to set a dollar limit and to not proceed further, whether they believe in the end goal or not. Take the rule to never invest what you aren’t willing to lose and you’ll have no regrets. Whether you want to be behind the wheel, on the pit box, or go over the wall, if you don’t have the God given talent to succeed here you’re really out of luck. Talent is something you are born with, plain and simple. Talent plus experience leads to great things, nut no-talent plus experience just leads to slightly better mediocrity. In a startup company this parlays into having the right people in the right places. Don’t make the genius engineer handle the social media work, and don’t make your super-stud sales guy be the engineer. Allow people to play to their strengths (i.e. their talents). In racing, it’s the same deal. There is a reason that Rick Hendrick is a phenomenally successful business man where he was only a mediocre race car driver, and while coming to that realization may have been painful for him he embraced it and only gained from it. As an aspiring racer you’ll need to realize that your best talents may not be behind the wheel, and that the other guys on the track aren’t just driving faster cars than you; they’re simply more talented. Don’t fret if that happens, but swallow hard, embrace it and then do what you’re good at. That being said, you may just be the guy out front that everyone is chasing. You’ll never know until you try, which leads me to my third point. If you never take the leap, you’ll never find out if you can make it! Out of everything on this post, I hope that this one sears it’s way into your brain. If you don’t take a shot at something, be it your business, racing career, or asking out the really cute girl that gives you butterflies every time she looks your way, you’ll never know what could have been. Ever. If you win, awesome. If you lose, you’ll have stories for your grand-kids. Take the shot. 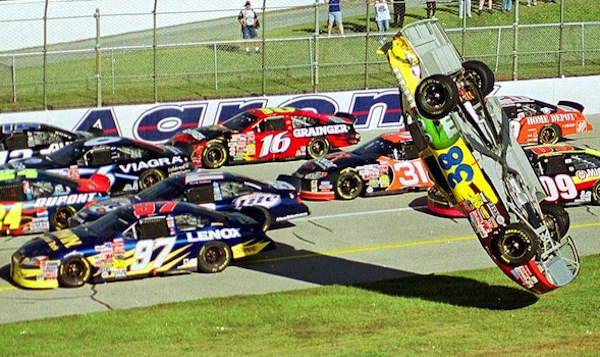 Hopefully this has been some food for thought that helps change the way you approach your potential motorsports career, or honestly, any potentially risky endeavor. Obviously I have left out many of the working pieces required to make a racing career happen, but I think you’ll find that without having this underlying philosophy that success will always elude you. It took me years to come around to this way of thinking, and now that I have it’s impossible to turn back. I truly do believe that with the right plan of action any one can have a fair shot at chasing their dream, and if you believe God gave you a dream to chase, you’ll never be fully satisfied until you’ve given it a shot. I’m planning to cover other automotive business adventures in my upcoming podcast show, Cars For a Living, and in that show we’ll dive into the real nuts and bolts of how to go about forming business ventures so that they can have the biggest chance at success. While I didn’t talk about business plans here, or how to go about funding ventures, etc, we will dig into that in Cars For a Living. If you’d like to be contacted when that show goes live simply fill out the contact information on this link and I’ll send you a note when we’re ready to go.